Concrete mixes are defined in ascending numbers of 5, starting at 10, and show the compressive strength of the concrete after 28 days. For instance, C10 has the strength of 10 newtons, C15 has the strength of 15 newtons, C20 has 20 newtons strength and so on. So what can these grades be used for and which is best for the job at hand? Below is a list of a few of the initial concrete grades and what they are best used for. Used for: Domestic floors and foundations (where the weight of structure will be lighter). Also good for workshop bases, garages, driveways and internal floor slabs. Used for: Construction in all areas. Multi-purpose concrete mix, usually used for foundations. Used for: Pathways and roadways (this is the lowest grade concrete mix that can be used for this purpose). More durable than the grades that have come before, and thus is much more weather-resistant and can take heavy road traffic. Used for: Commercial structures. 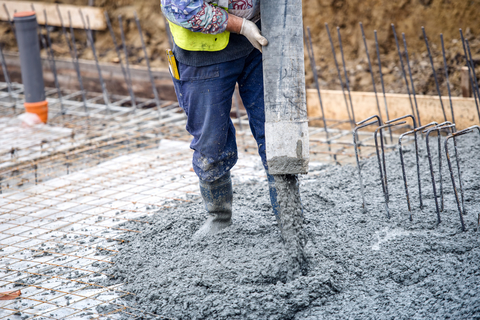 This heavy concrete mix is usually used for creating external walls and slabs, as well as for structural piling. Used for: Commercial construction sites, creating foundations and beams for structural support and roads. The most durable in this list, C40 can withstand chemical corrosion also, so is frequently used on farms where slurry could corrode structures, or in septic tanks. We hope you found this guide useful, and if you are interested in learning more, visit our blog for more information on the concrete types available to you.